Lindsay Rollins is an associate with Hancock, Daniel & Johnson, P.C. Her practice focuses on insurance coverage litigation and counseling, as well as general commercial litigation. Lindsay is licensed to practice law in eight states and the District of Columbia. She represents insurance clients in a wide range of insurance coverage cases in state and federal court, including commercial general liability, professional liability, employment practices liability, builders risk, commercial auto and trucking, personal auto, homeowners, umbrella, excess, and first-party property claims. Lindsay also regularly counsels insurance clients and provides analysis and recommendations with respect to complicated and emerging coverage issues. In addition, Lindsay represents corporate clients in commercial contract and tort litigation and advises and assists these clients with pre-litigation case assessments and negotiations. During law school, Lindsay earned the John Marshall Scholarship, a prestigious award that afforded her a unique opportunity to be taught and mentored by Senior Justice Elizabeth Lacy of the Supreme Court of Virginia and Judge M. Hannah Lauck of the United States District Court for the Eastern District of Virginia, Richmond Division. She also served as a judicial intern to the Honorable Cleo E. Powell of the Virginia Supreme Court, where she researched and analyzed legal issues presented by petitions for appeal. 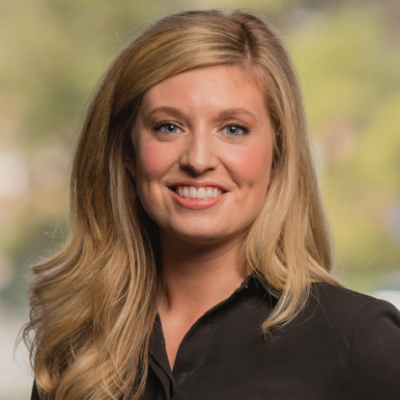 Lindsay was a member of the Trial Advocacy Board and an executive member of the Moot Court Board and enjoyed competing in trial advocacy and moot court competitions. Today, she gives back to these organizations by volunteering as a judge for intra-scholastic competitions at her alma mater, the University of Richmond School of Law.